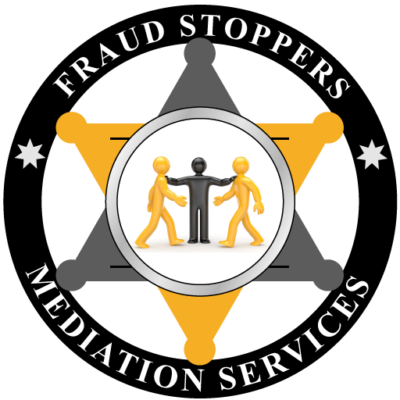 If you or someone you know has received a Notice of Default (NOD), Foreclosure Notice, or Foreclosure Complaint FRAUD STOPPERS PMA can provide you with a powerful proven way to correctly respond to the Notice of Default (NOD) or Foreclosure Notice (Foreclosure Complaint) securing all of your legal rights to remedy and laying the groundwork for a state and federal lawsuit for mortgage and foreclosure fraud. If you have revived a Notice of Default or Foreclosure Notice you can respond by mailing a Federal Debt Validation Letter demanding that the mortgage lender or servicer validate the debt. 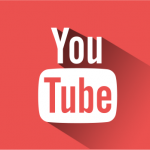 This can help you stall their collection efforts, and help you gain the material facts needed to exhibit to your complaint. Here is a free Federal Debt Validation (DVL) #1 that you can use to respond to a Notice of Default or Foreclosure Notice. 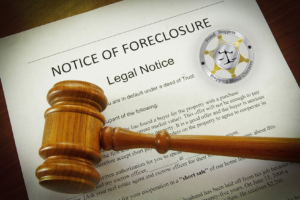 If you have received a Foreclosure Complaint or Foreclosure Lawsuit you can respond with a Motion to Dismiss (Demurrer) or with a Formal Discovery Request which can include Admissions, Interrogatories, and Request for Productions. 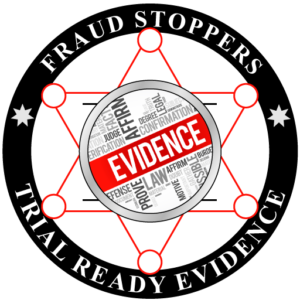 FRAUD STOPPERS PMA can provide you with a professionally prepared Motion to Dismiss (Demurrer), Formal Discovery Package, and any other legal documents that you may need to respond to a Notice of Default, Notice of Foreclosure, or Foreclosure Complaint. 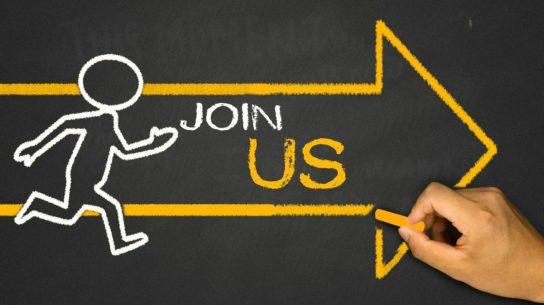 For more information on these services call our offices at 844.837.8378. 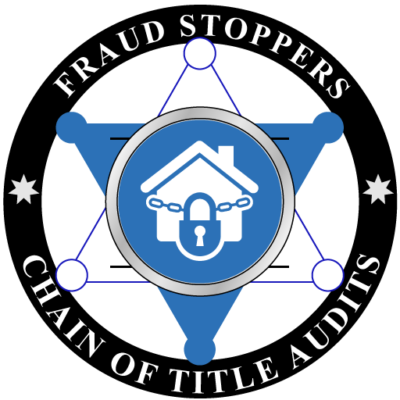 Join FRAUD STOPPERS PMA right now and get powerful administrative and court ready legal documents to respond to a Notice of Default (NOD), Foreclosure Notice, or Foreclosure Complaint, and lay the necessary groundwork for a Quiet Title or Wrongful Foreclosure Lawsuit. A foreclosure by statutory power of sale is invalid unless the notice of default strictly complies with paragraph 22 of the standard mortgage, which informs the mortgagor of, among other things, the action required to cure the default, and the right of the mortgagor to bring a court action to challenge the existence of a default or to present any defense to acceleration and foreclosure. 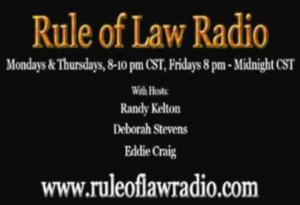 Now let’s talk about the foreclosure laws as they relate to everybody. If you have received a Notice of Default (NOD) or Notice of Acceleration (NOA), then time is short and you need to do something. And the only thing that will get the banks attention is a lawsuit. If you have an impending sale there are a number of things you can do. If you haven’t done anything concerning the foreclosure process as yet, there are some things you have to do simultaneously. The first thing you want to do is send out a number of letters. Whoever is attempting to foreclosure on you, on that person you should send a debt validation letter (DVL). Often, a debt validation letter (DVL) will stall the foreclosure. Because when a debt validation letter is filed, the lender is obligated by the Fair Debt Collections Practices Act (FDCPA) to validate the debt. A presentment under the Uniform Commercial Code (UCC) is defined as a demand for payment on a debt in us dollars. If your sent a presentment (a demand for payment) from anyone, you may dispute the debt with that person, and if you send them a letter stating that you dispute the debt and a demand that the claimant prove up their claim, then the debt collector is required to seize all collection efforts until they have proved up the claim. So if your lender is in the process of foreclosure, and you send them a debt validation letter, they’re going to claim that in this case they are not debt collectors, but in fact they are merely attempting to recover collateral. The courts across the country are split on this issue. Some states say yes they are a debt collector, and some say no they are not a debt collector. For our purpose we don’t care either way, because we’re going to make the claim and by law once the demand is made they must prove up their position either way. 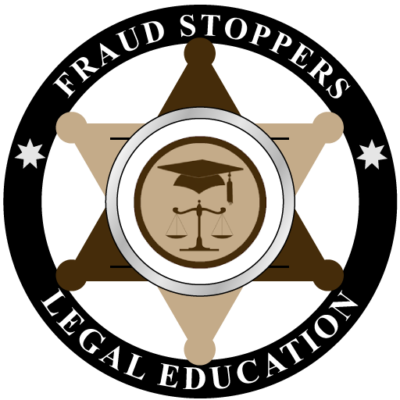 The issue that we’ve been making with the lawsuits we’ve been helping people produce is that they are a debt collector until they show that they are not a debt collector. Usually they like to reply with a Rule 12 (motion to dismiss for failure to state a claim), alleging that they are NOT debt collectors and therefore they do not fall under the FDCPA. If you have a debt with GMAC and I call you from Joe Blow collections, or send you a letter claiming I’m collecting for GMAC and you need to send all your future payments to me. Well if you send your payments to them and they are not collecting for GMAC the payments you send to them do not extinguish the debt; and that’s in the Uniform Commercial Code. You see the foreclosure mills and the banks agents are trying to squeeze in under that exclusion, and claim that they are not trying to collect money; rather they are attempting to recover property. But in order to recover the property you have to get a notice of intent to foreclose in the form of a notice of default (NOD) and opportunity to cure the default (by paying money). This is stated in the mortgage. Now we are saying that makes you a debt collector. Because the bank is saying you better pay a certain amount in U.S. dollars, or else they will become a collateral collections agent, and take the property as collateral. 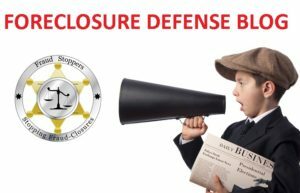 So the argument you will be making to the court is even if the jurisdiction says that the debt collector, and the foreclosure agent falls under the exclusion, until such time as they prove that they are actually in that position, they fall under the FDCPA. 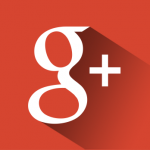 If you get a phone call, you will use the: “Let’s Play a Little Q & A” on them. YOU must take control of the situation. Write down their name, and the time and date they called. This is very important. (If you can record the conversation it will help you to transcribe to a ledger, the reason for this is that generally a recorded conversation is not admissible in a court room (the Judge will not allow it) however a transcript is admissible with no problem). The purpose of this is that there are certain things they must do during the telephone conversation and the primary one is as follows. The very first thing they must do after identifying themselves is to read you your consumer warning. This is also referred to the “Mini-Miranda” “This is an attempt to collect a debt and any information obtained will be used for that purpose”. If they do not inform you of your rights they have violated section § 807 of the DCPA and is a $1,000.00 violation. 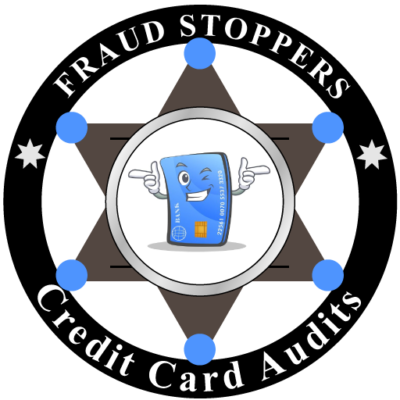 On top of that, in your Debt Validation Letter you should request that they only contact you by U.S. Mail. This way each phone call could result in you being paid up to $1,500.00 for each violation of the Federal Telephone Consumer Protection Act 47 U.S.C. § 227. Moving along! Think about this, if someone could be excluded from proving their position, just by making the claim that they weren’t a debt collector, and not have to prove it up the claim, then the statute requiring someone’s to prove their position would have no force in fact. In other words the law would be meaningless. So you’re saying that the bank is a debt collector, until they prove they are not. So now the burden of proof shifts to them proving they are not. Either way it does not matter because this is just round one. 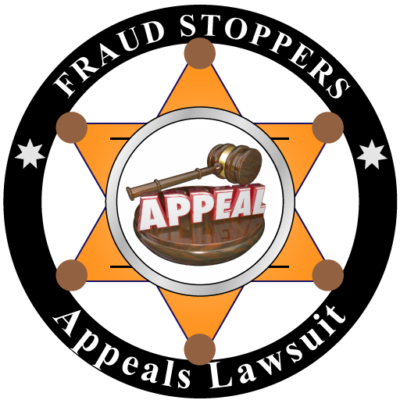 In your lawsuit you can stipulate that IF they prove up their position you will dismiss this issue. What you’re claiming here is you don’t know who the real holder of the note is, and for good reason. With all this robo-signing, and loan securitization, and transferring these loans, mortgages, and deeds of trust all over the place, you don’t have a clue to who the real holder of the note is. So you don’t know who has the actual authority to perform the foreclosure, so you’re asking that they prove up their position. Until they do this the foreclosure should be halted. 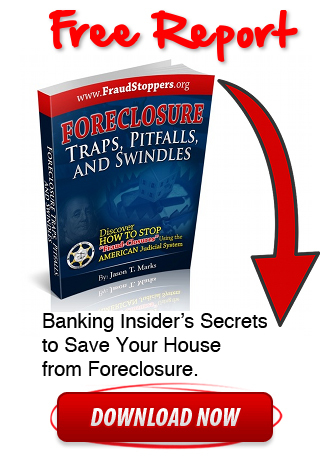 Some people have been able to stop the foreclosure for years with this one simple step. 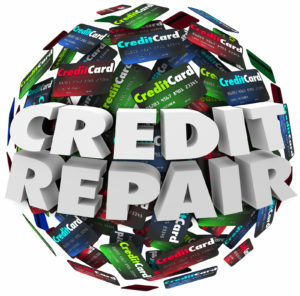 Remember your lender or loan servicer sent you a notice of default (NOD) and opportunity to cure; and you just need to make sure that if you send the amount necessary to cure that it will actually cure the debt; and you won’t have somebody coming back next week trying to foreclose again. 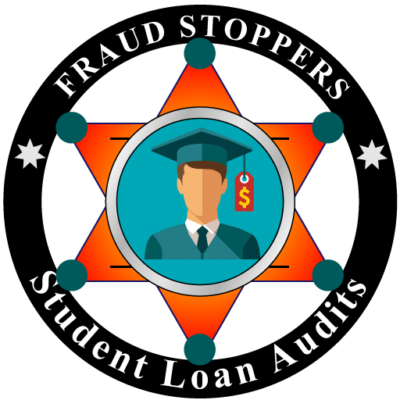 So the first thing you need to do is send the a good Debt Validation Letter; because when your lender or loan servicer receives it they are essentially statutory estopped from any and all further collection efforts until they answer. After you mail your Debt Validation Letter, if they send you an answer, more than likely it will be a “nonresponsive answer”. They may send you a copy of the deed of trust/mortgage, and maybe a copy of the note (if they have one). But they will not send you the originals that you requested, and they will not make originals available for your inspection, because in all likelihood they do not have them. 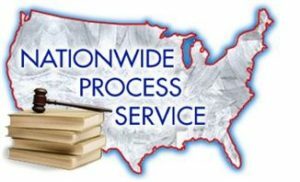 So in order to address that issue in the debt validation letter you demand that they produce the original note for inspection by you; as is your right under Federal law. Now this is governed by Uniform Commercial Code 3-501; and it says that when a creditor sends a presentment to a debtor, and the debtor demands production of the original security instrument, the creditor must make the instrument available for inspection by the debtor. They do not have to give it to you; they just have to show it to you. If they fail to do so, the debtor can cease all payments without dishonor. Now this creates Statutory Estoppel on two different fronts, and it will almost always stop the foreclosure, at least the first time you send them it. It usually takes them a little bit of time to get regrouped. Once they send you this bogus answer they may try to go ahead and start the foreclose process again. And there are things you can do if and when they do that. But first things first, send the debt validation letters. 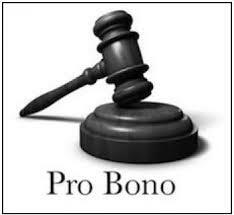 Then as soon as you can you want to get a suit filed under the Fair Debt Collections Practice Act (FDCPA). When you send in your Debt Validation Letter (DVL) and then file suit for the same purpose. 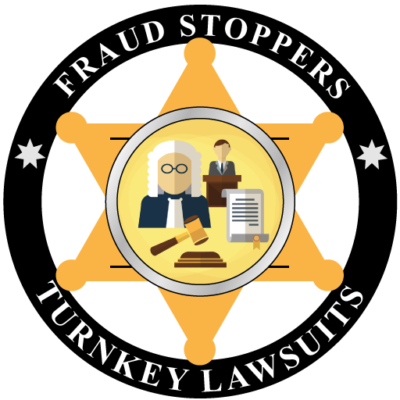 File suit demanding that the person claiming authority to foreclosure prove up their position; demand that they prove they are actually a bonafide agent for the true holder of the note. Now this could be a big problem for the bank. The bank may actually be, or whoever the alleged principal for the agent is, may actually be the true holder of the note. But their problem is, in the last 13 years or so, after the repeal of the Glass Steagall Act and the repeal of the prohibition against derivatives, it sort of unleashed the money changers on us and they got themselves into such a glut of swallowing all of the equity of this country, that they just didn’t take care of business. 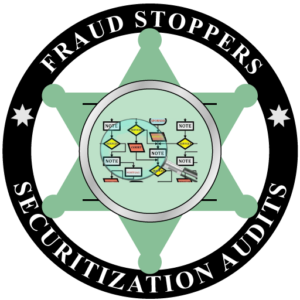 They didn’t take care of the bookkeeping very well and usually they cannot legally prove up their position. So when you file suit for this, and we’ve done a bunch of them, you have to understand that the courts are absolutely totally corrupt. They will dismiss your case no matter what, even if you have an attorney. Because the banks have money and power, and they can apply political pressure. And don’t forget that some of the federal judges are dirty rotten scoundrels. Maybe they can’t help it, maybe their position depend on them being dirty rotten scoundrels, but in the end…..they’re dirty rotten scoundrels; and they will rule against the Pro Se at every turn. So you have to expect that, and be prepared for that. But don’t worry because the How to Win in Court Course will teach you how to argue your case, for the record, so you can win on appeal. 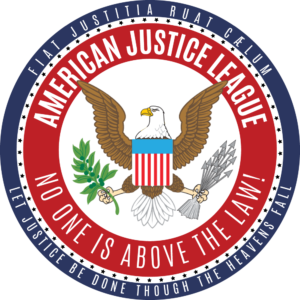 And keep in mind that you have some things you can do as Pro Se to tilt the scales of justice in your favor. As a Pro Se you don’t have to worry about that scoundrel judge pulling your bar card, because you don’t have one! Generally you don’t have to worry about the judge sanctioning you, because for the most part, the things that will get someone sanctioned only apply to lawyers. As long as you don’t curse the judge out, and you put on the appearance of civility, they’ll have no way to sanction you. When you start filing judicial conduct complaints against a judge every time they squeak, every time they do something to deserve it, they can do nothing to stop you. If you file a judicial conduct complaint against the judge, and the judge says one word to you, that’s obstruction of justice and tampering with a witness and that can get them into big trouble real fast. The same goes for bar grievances against attorneys. Bar grievances can affect attorney’s malpractice insurance. So these are just a few of the things that you can do to them as a Pro Se, which lawyers can’t do. If you have a lawyer, they can’t do any of these things, because if they do anything the judge doesn’t like, the judge can jerk their bar card away, almost at whim. But you’ll have to worry about that, and we will show you how to take some actions that will make up for a lot of these problems we have with corrupt judges and courts. I’m hoping that if we can get enough people doing this, that we can put enough pressure on the judges, that they will stop playing these shenanigans, in order to get us to stop filing judicial conduct complaints against them every time they turn around. But that is a discussion for another day. Once you file your lawsuit you can expect a rule of 12 motion (dismiss for failure to stay to claim); and they will have 21 days to file that answer. So if you’re facing foreclosure they generally have to give you 21 days notice; and they generally time it so it’s exactly 21 days notice. 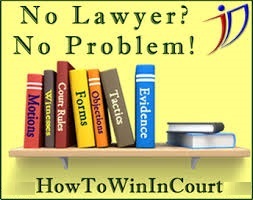 So you will want to file a federal (or state) lawsuit fast, and that will almost certainly stop the sale. Now it may NOT statutorily stop the sale. 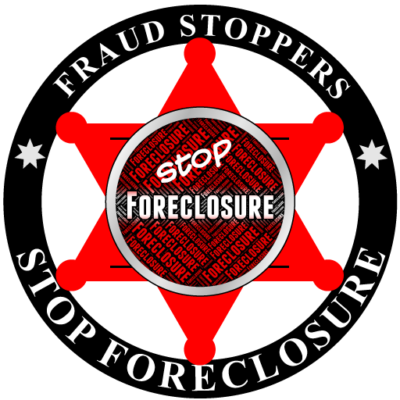 The only thing you can do to legally stop the bank from foreclosing on your property is to get a court order; like a temporary restraining order signed by a judge. Or you can also file for bankruptcy to temporarily stop the sale! However, once you sue them, the reality is that win lose or draw, you’ll probably come out ahead because civil litigation takes time; and time is money! So once you file an action against them, if the bank goes ahead and forecloses on the property while the litigation is going on, they could have opened themselves up for even more damages. Plus nobody in their right mind would purchase the property; because there would be a Lis Pendens filed against the property; and we’ll show you how to file a Lis Pendens (Latin for “suit pending”) later. While looking at the Deed of Trust or Mortgage, click on the button or link for “RELATED DOCUMENTS” and print the search results, then get a copy of any “Assignments of Deed of Trust or Mortgage” and any “Releases of Liens”,” Appointments of Substitute Trustees”, “Trustee Deeds”, and Law Firm Letters, like Default or Acceleration Letters from Attorneys who are hired to collect the debts from you. Get a copy of everything in the file to the present date. You’ll also look for an assignment of substitute of trustee, an appointment of the note, and an appointment of the deed of trust or mortgage. These are the primary documents you’ll look for. 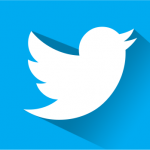 And you may see a notice of default, or notice of intent to foreclose. Basically you want to get a copy of every document filed against your property from the time you purchased it until the present. Then once you get a copy of these documents look at the authentication, which is the notary. Documents filed in the county record are not self authenticating. Since these documents are filed by someone that just comes down to the court, or hands it to the court, or they send it by mail, someone has to sign the document for it to be valid. 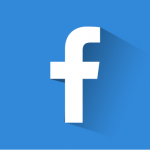 An authentication is when a person goes before someone who is authorized to do this, authorized to verify that the person who is claiming to sign the document, is in fact the person they claim to be. Essentially that’s all the authentication is. The notary will authenticate that this person came before me, and either I knew them personally or they identified themselves to me by this method; and I made the determination that this person is who they say they are. This is one of the biggest areas of fraud in the whole foreclosure issue and it is absolutely the dumbest place to commit fraud. It’s arrogance beyond belief, its total reckless disregard for our laws and our courts. To file a document with a fraudulent identification is a felony; and the banksters have filed millions of them! If you remember back to the 60 Minutes’ episode The Next Housing Shock a young guy got on television and bragged that he could sign Linda Green’s name, something like 360 times an hour. Think about it, in just one hour he committed enough felonies to put him in a federal penitentiary for several life sentences. This guy was no rocket scientist, but he could write fast! And the notaries, it’s a relatively minor thing, and its standard business procedure. But these guys are cranking out foreclosures so fast that having to wait for a notary, or having to wait for a notary to sit across the table from you as your signing these documents, and take the time to fill out their ledger and have you sign the ledger, while that’s inconvenient, and it’s not efficient. So the foreclosure mills will hire somebody, at the entry level position who doesn’t know anything, and they come to them and say: “Hey we need a notary, and if you want to be a notary we can pay for your application fee, and your bond, and everything you need like your stamp and your ledger, and we’ll make you a notary.” And the new entry level clerk says “wonderful, I’ll be a notary”. And then the company comes to them with a big stack of documents and says “here you go, we need you to notarize these for us.” And generally this is a law firm, so the entry level clerk believes that this must be legal, and they do what there told and they notarize the stack of fraudulent documents. So now when the foreclosing agency needs a notarized document they just pull one off the shelf and fill it out. What the notary is required to do in a number of states is to keep a sequential ledger. Anybody who has taken a document to get it notarized will recognize the procedure. You sign your document in front of the notary, after you have identified yourself to the notary, and then the notary will fill out some stuff on this ledger, and turn around and have you sign it. And now they even have a fingerprint pad where they will have you put your fingerprint or thumbprint on it. And that’s so if anyone ever has a question about the authentication, the notary can prove up the authentication. Well the first thing you need to do is to pull every notary name off of every document that’s been filed in the county records office against your house, and send them a letter requesting a copy of their sequential ledger, from the day before to the day after any authentication appears in the record. And we suggest that you do not send it yourself. Have someone you know send it. And be sure to send its certified mail. Anything that you cannot conclusively prove that you sent and was received will go into the trash. Now that may not be right, but that’s the way it works. So always send all of your legal correspondences Certified Mail Return Receipt Requested! The Post Office will give you a tracking number. Write that tracking number on the top of your letters & correspondences. Make a copy of the letter with the tracking number written on the top, then mail the letter. This provides you proof when they sign for the letter, and what the substance of the letter was. You may get an answer back from them, but it will most likely be non-responsive. If they send you an answer and it is not the sequential ledger, or if the record shows that the ledger is incomplete, then the answer is nonresponsive! To date, we have yet to receive a single responsive answer to this request. If you don’t receive a responsive answer, you will have a valid reason to believe that the authentication is invalid. Now there is one particular notary that most people will have a question about, and that’s the one on the deed of trust or the mortgage. When you signed that at closing there was a notary sitting at the table across from you, as a rule. There’s required to be, but not always. Sometimes the lender will come to your house and have you fill out all the documents at your kitchen table. Well, that’s not quite legal because that deed of trust or mortgage must be authenticated; because that document is intended to be filed with the county register. And documents filed at the county register or are not self authenticating and they must be authenticated by a notary. If there was no notary, than the document is not authenticated; but if there was a notary, you have to ask “was that a notary?” Because you don’t really know, they look like notaries and they act like notaries; but what we have found in sending these letters out, is that they are not necessarily notaries. Or even if they were notaries often they’re not notaries any longer. And when a notary cases to be a notary, the notary is required to send their substantial ledger to the clerk of the court, or county clerk. We’ve never found the county clerk who has one. What we have found more often than I would have expected, is that we send a request from a notary on the deed of trust, and would get a letter back saying that our letter is undeliverable. So we contact the secretary of state who oversees notaries and who issues the notary authority and we asked the secretary of state for an address on the notary; and the secretary states because we don’t know who this person is. Now we are not exactly sure what is going on here. It may be that once a notaries’ commission expires, and it hasn’t been renewed, the secretary state may not maintain information on them. We don’t know if that’s the case or not, or if the secretary of state never had any information on the person. We don’t know what the deal is! But what we do know is that the secretary of state says to us, “we don’t know anything about this person, and they’re not a notary, and we don’t have any record of them.” And for us, that works GREAT! We can live with that; because that creates an adverse inference that whoever sat across from us at the closing table, posing as a notary, was not in fact a notary. It’s irrelevant because the document must be authenticated, or proven, and it is not. You do not know if that is precisely the document that you signed at closing. Your bank may have made up another one. You can never know what the document your bank is reporting to have is, unless they bring you the original; and they will NEVER do that! But you raise the issue so that if you can get the deed of trust, or mortgage, to be declared by the judge to be of no force and effect; your bank will have a real big problem! But generally the one that we can go after is not good deed of trust, or mortgage, in this particular regard. There are other places to go after the validity of the deed of trust, or mortgage. To which you can reply while Your Honor, this guy is a robo-signer and his name is all over the Internet. So I sent a letter to the company, for whom this person acted as an agent, and I requested evidence of the power of attorney for this person, and on these letters we have never received a responsive answer yet. So after you complete the above mention step, you can then go to the court and say your Honor, I think this guy is a robo-signer (his name is splattered all over the internet), so I sent a letter to the company for whom he signed, asking them for proof of power of attorney, and I didn’t get any response. And this creates the adverse inference that the guy did not have power of attorney. Furthermore, you’ve looked in the county record and expected to find evidence of power of attorney, as is required by law for anyone who files this type of document, that is specifically referenced by our state law, and I did not find any such evidence that he had power of attorney. This creates a prima fascia case for this document being insufficient for filing in the record and I ask the court to rule that it’s insufficient, and is therefore void and of no force and effect. This is all you want the judge to rule on at this time, and this is where you’re filing a petition for declaratory judgment. You’re not asking for any damages, at this time. You’re only asking that the judge make a declaration; and the only declaration we want the judge to make is that this document, as it exist by looking at the four corners, is insufficient for filing. 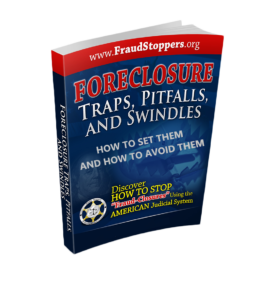 Doing these steps as soon as possible can cause big problems for your bank and their foreclosure efforts. 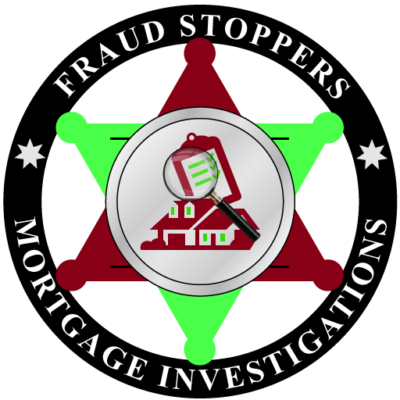 Remember these steps are only the start to defeating your fraudulent mortgage or foreclosure. The banks have paid lobbyist to help Congress pass laws that benefit the banks and their foreclosure efforts, so you will need to do more to reach a successful outcome and a happy ending. 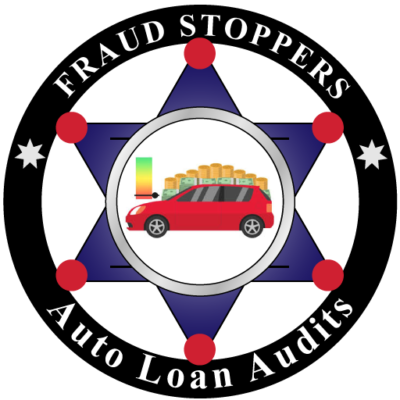 If you are thinking about filing a lawsuit against your lender or current loan servicer for mortgage or foreclosure fraud register for a free mortgage fraud analysis and we will help you determine what legal options your loan qualifies for. Remember never give up on your piece of the American dream because you may have options available to gain the remedy that you deserve!